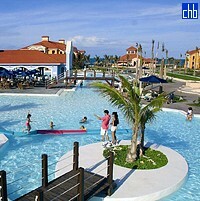 Hotel Playa Alameda is located at the end of the Hicacos Peninsula right on the beach, near the ecological park. 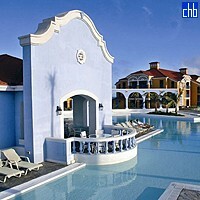 Hotel has been recently renovated and from January 2007 is operating under Iberostar Managment. It is an all inclusive hotel with 391 air-conditioned rooms, including 4 Junior Suites, 4 for handicapped passengers and 40 connecting rooms. 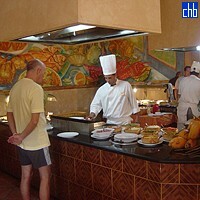 The all inclusive includes a wide selection of national and international drinks like soft drinks, juices, beers, cocktails, coffee, tea, liqueurs, spirits and house wine by the glass; Italian a la carte “Don Alfredo”, buffet and grill restaurants “Varadero”, beach grill and a lobby bar. 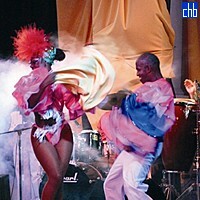 At Playa Alameda you will find daily activities programmes and night time entertainment. 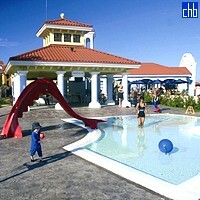 Also there are facilities for kids: miniclub, playground, baby's pool, children's area pool. Baby-sitter available on request for extra charge. 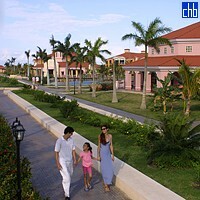 The hotel is ideal place not only for families but also to celebrate your wedding or to spend the honeymoon. A wedding package includes an upgrade to suite, fruit basket and bottle of champagne in the room, sunset cocktail for two, wedding cake and bottle of champagne for the ceremony, decoration for the wedding site, marriage certificate, local legal fees, public notary fees, romantic dinner for the couple. If the couple is accompanied by a group of invitees (minimum of 7 pax and a 7 day stay) the wedding Gala Dinner with cocktail and a musical trio will be free of charge.